Thank you for your interest in working with United Construction Company. 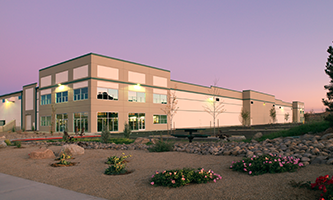 United Construction Company has partnered with ProQual by Pantera for the collection/verification of information and supporting documentation of subcontractor qualifications. ProQual will not be making decisions on behalf of United Construction Company. This information is used by United Construction Company for prequalification purposes. All information is kept confidential and is only reviewed by the prequalification team. There is no fee for this service. Once you have been prequalified, you will be asked to go through this process annually. The ProQual team is available to assist you and answer questions regarding this process. Thank you again for your interest in working with United Construction Company. 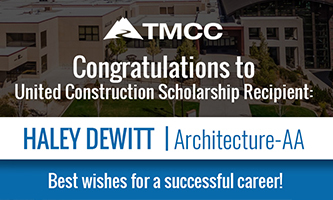 Congratulations to TMCC student, Haley DeWitt, for being awarded the United Construction Company Scholarship. 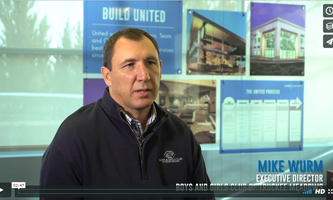 Mike Wurm, Executive Director of Boys & Girls Club of the Truckee Meadows, talks about his experience working with United Construction.